Imperial Car Supermarkets believe in making it simple and easy for our customers to buy their next used car from us. Our aim is to be completely transparent, providing our customers with as much information about our used cars as possible - everything you need to have the confidence to buy. 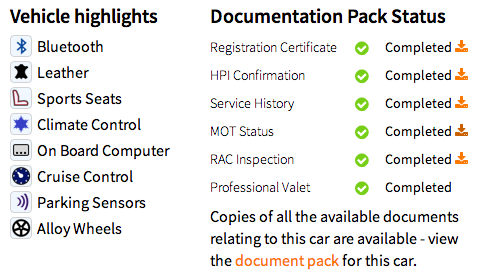 We are the only used car dealer in the UK to provide all of the car documents online to view at the click of a button. Having vehicle documents available online, gives our customers the details they need to help make a decision on their used car purchase. Customers drive across the UK to buy from our showrooms in Portsmouth, Southampton and Fleet in Hampshire, this online information proves invaluable. High Resolution Photos & Zooming 360° Spin View! We take lots of high resolution photos, inside and out - all the details. 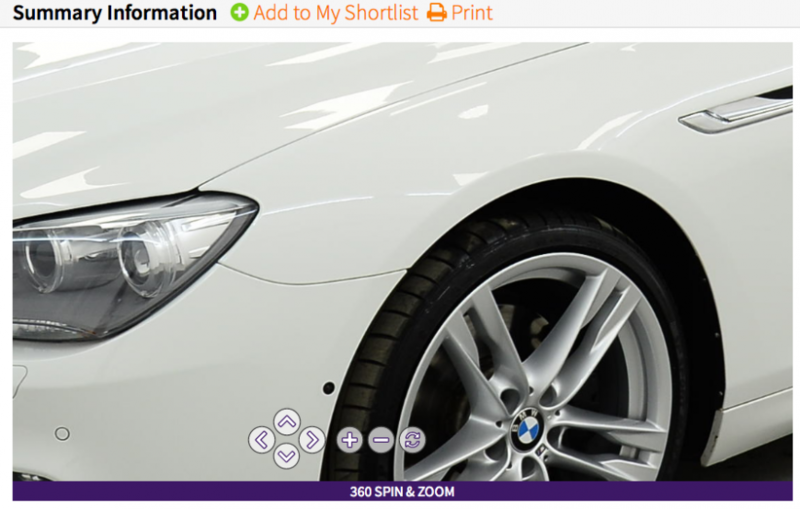 We also provide a fantastic 360° spinner with 4 levels of zoom! You can look at any part of a car and zoom right in close! Our aim is to be completely transparent, and having theses details and the vehicle documents available online, gives our customers the confidence & information they need to help make a decision on their used car purchase. With many, many customers driving across the UK to buy from our showrooms in Portsmouth, Southampton and Fleet in Hampshire, this online information proves invaluable. We are dedicated to improving and innovating the used car industry, providing customers with the best range of used cars for sale, as well as a very high level of customer service. This all begins in the customer’s home or office when they search online for a used car. Our website has been developed and perfected to make finding a used car as easy and intuitive as possible. Search by make, model, price, colour and any particular features you need. Hone your search until you find just the car for you. At this point you are able to view a 360° spin and zoom of the car, plus a large number of internal and external shots. This level of information assists in deciding which cars to view and test-drive in person, saving many hours on garage forecourts! We are completely focussed on the satisfaction of Imperial Car Supermarket’s customers. They are our driving force; and we are very proud of the reputation we possess among motorists across the Hampshire region. Why not take a look at some of our recent customer reviews here? Search for your next used car now on the Imperial Car Supermarkets website - from Audi to BMW, Ford, Jaguar, Mercedes-Benz, Vauxhall, Volkswagen and Volvo, Imperial Car Supermarkets are the leaders in customer focussed used car sales.